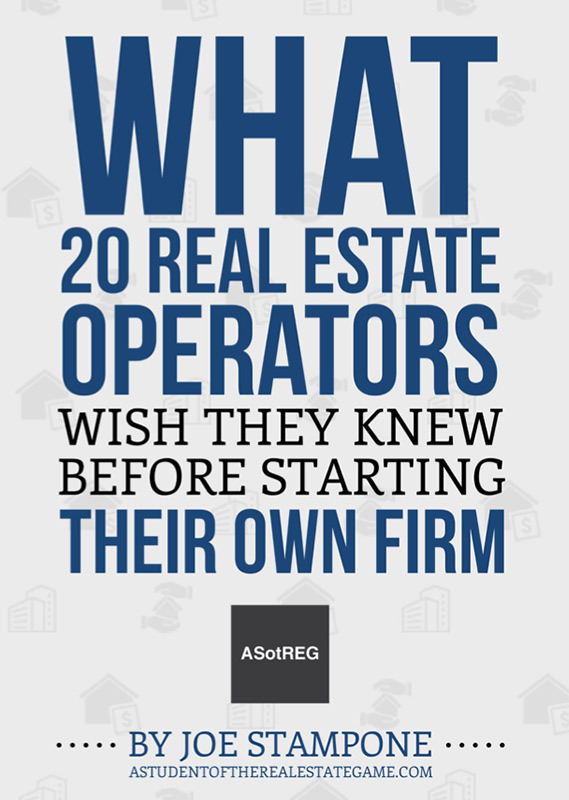 I talk to a lot of entrepreneurial real estate operators. Some are just starting out. Others have successfully built a platform and scaled up. While others started and failed. Although there are countless challenges (well, at least 71!) these entrepreneurs face in their day-to-day, the single biggest challenge for all of them is the ability to efficiently source and vet deals. When there are a million things going on, how do you determine what to spend your time on? Get Hyper Niche: While we invest across asset classes and markets at Atlas, if I were starting my own real estate investment firm I would implement a hyper-niche focus. For example, I’d acquire value-add apartment properties in the $2M-$10M range where I can achieve an 8%+ stabilized ROC in the Fairmount neighborhood of Philadelphia focused on capturing millennial renters. With that backdrop, I can spend 100% of my time getting to know every broker, owner, and industry participant in that space. I can also perfect my execution, find ways to differentiate my product and build a recognized brand locally. When a broker has a listing, an owner is selling, or someone uncovers a deal, I’ll be the first call. I’ll know the product so well I can easily determine which deal is worth pursuing and which is a waste of time. Over time, I’ll slowly outgrow that market and begin to expand my business model into surrounding neighborhoods; Fishtown, Brewerytown, Kensington, Grays Ferry etc. When achieving scale, I could build out a property management firm, create a brand that could be licensed, or create new technology for tech-focused renters, the opportunities are endless! While this fictitious example may be oversimplified, when starting your firm, ask yourself, “what’s my competitive advantage?” If you don’t have one, re-think your business plan. Embrace Technology/Nimbleness to Create a Competitive Advantage: As a real estate entrepreneur, you have a major advantage over the established players in your market; you can move quickly and test everything without consequence! Experiment, do things differently and be bold. If it doesn’t work, scrap it. If it does, add it to your tool belt to outperform the competition. Build/Nurture Real Relationships with Industry Professionals: Why would a broker bring a deal to you over someone else in the market? 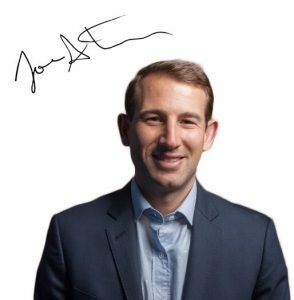 By taking a niche approach and being active within a subset of a market, you become the go-to guy for certain deals. Like you, successful brokers/brokerages also focus on specific niches. Find the 5 most hungry/creative brokers, lenders, accountants, attorney’s, architects, appraisers etc. within your space and build a real relationship with them. Go on weekend ski trips together, invite them for dinner at your house, meet their kids etc. People do business with people they like. Implement Deal Screening Checklists: In an earlier post, I shared my 5-minute deal-screening checklist. We’ve taken this a step further and created a detailed list of questions we use for every acquisition covering background/story, the asset, the market, and our local operating partner. When a deal comes across my desk that is worth further review, I send along our set of questions which will provide all the background I need to make a decision. Master the BOE: If the deal passes the sniff test outlined in the 5-minute deal-screening checklist, it’s time to take a deeper dive. By taking a hyper-niche approach and embracing technology, you can quickly confirm the attractiveness of the basis (price-per-unit or price PSF relative to the comp set), uncover variances in opex, calculate the stabilized return-on-cost, and compare investor-level returns to your current portfolio. The BOE is really the only model you need to make a go or no-go decision. Ask Yourself the Following Questions: The following questions were inspired by Tim Ferriss’s impossible 17 questions that changed my life, which can be applied to making your deal sourcing more efficient. If I could only work 2 hours per day on my business, how would I spend those 2 hours? What could I eliminate to solve problems? Determining how to efficiently use your time is the most challenging aspect of being a real estate entrepreneur, but if you implement the ideas above, you’ll be able to separate the critical few from the trivial many. 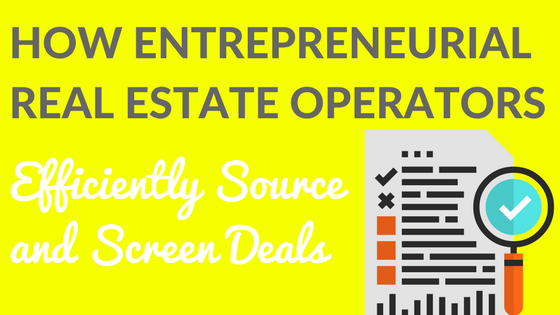 How do you efficiently source and screen deals?